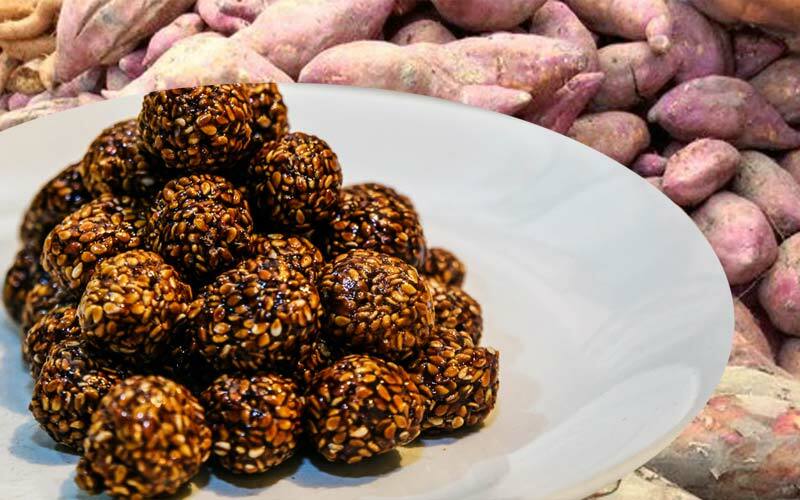 Maghe Sankranti Festival observed in Nepal! - Nature-Treks.com :: Pure Nature with Adventures. Maghe Sankranti Festival observed in Nepal! Maghe Sankranti is observed on the first of Magh, Nepali month (usually mid January) that indicates, the start of longer and relatively warmer days. On this day, the sun is believed to start moving toward the northern hemisphere. In that sense, Maghe Sankranti is similar to solstice festivals in other religious traditions. 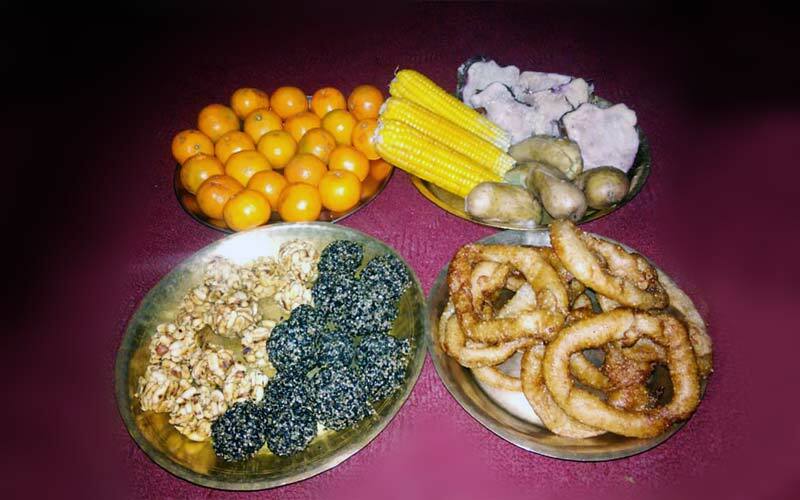 Maghe Sankranti, is celebrated in all over the country and some of the communities, such as Newar in Kathmandu valley, Tharu in the Terai and Magar celebrates this as one of the biggest celebration. In western Terai, it is believed as an auspicious and sacred ritual are carried out starting from Makar sankranti day. Maghe Sankranti has its own legend, a merchant from ‘Bhadgaun”, now Bhaktapur , Bhaktapur had a flourishing business. He was selling sesame seeds and his stock would never finish. Curious, he searched for the clue and found Lord Vishnu’s idol beneath the seeds. He then worshipped it with the belief that it had brought him supply of food, prosperity and wealth. The idol of Lord Vishnu is known as “Til Madhav”. Today, this festival is celebrated by taking ritual dips in the holy river convergences, most notably in Devghat, Chitwan. Families get together during the day and eat meals together. Sesame seed laddus, molasses, ghee, sweet potatoes and yam are included in the menu. People worship Lord Vishnu during the month by offering him pujas and reading the sacred Bhagwad Gita, also known as, the “Song of the Gods”.